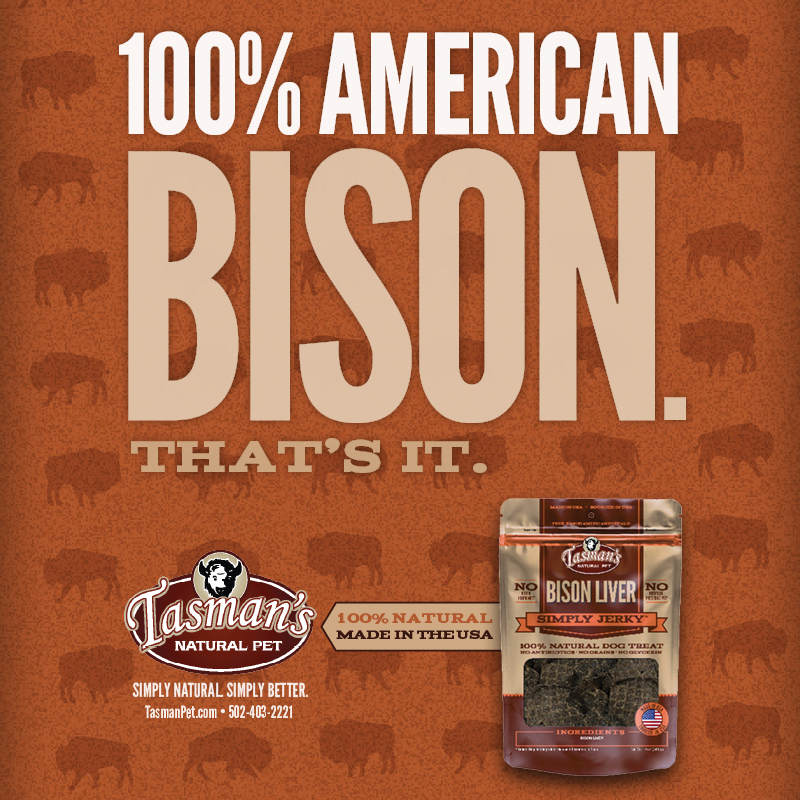 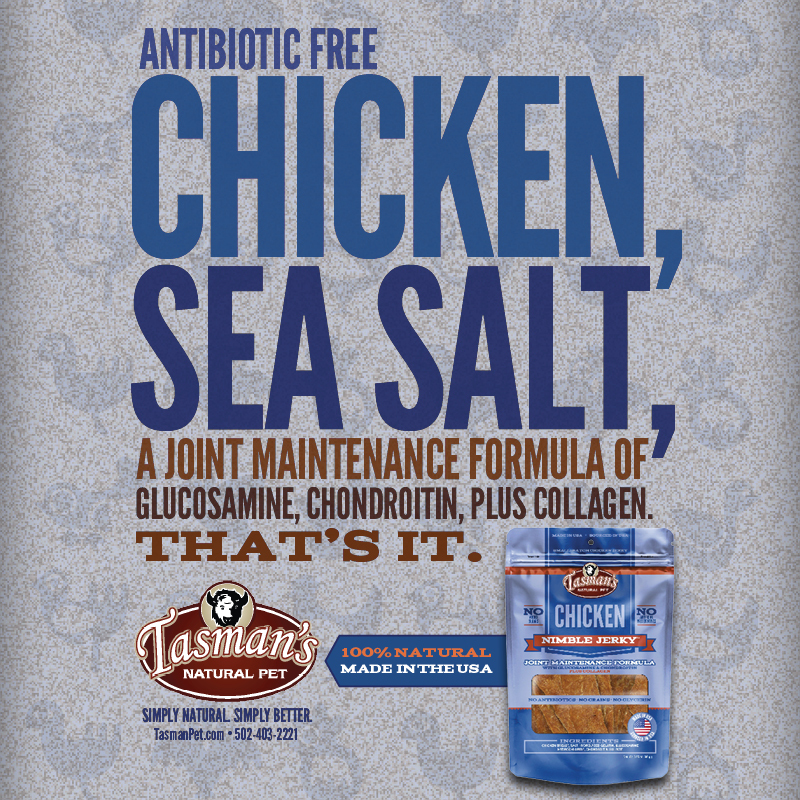 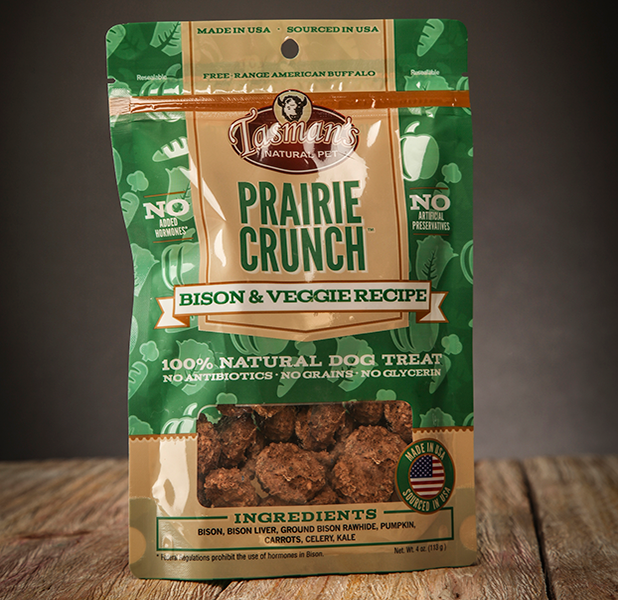 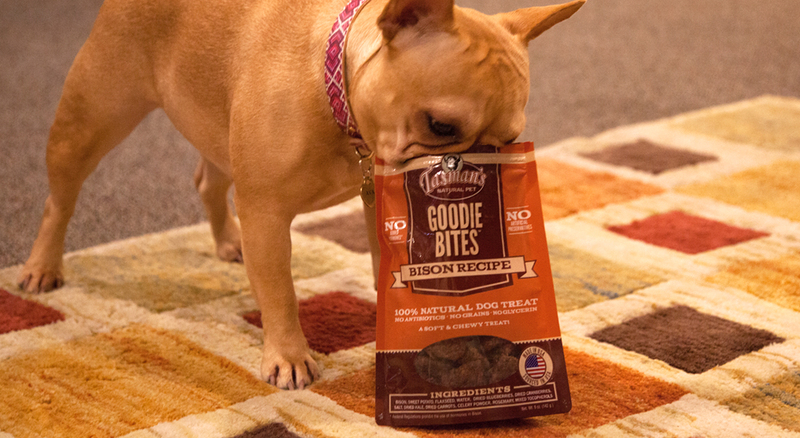 If you ask the office dogs, they’ll tell you we did a delicious job for TASMAN Natural Dog Treats. 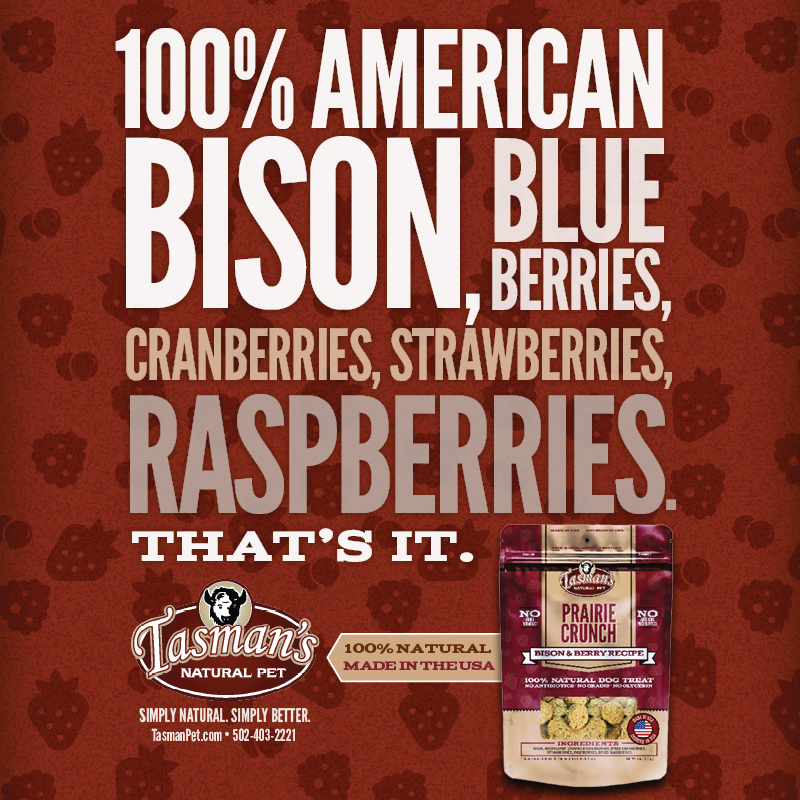 Current360 launched the TASMAN brand and built awareness in the pet food industry. 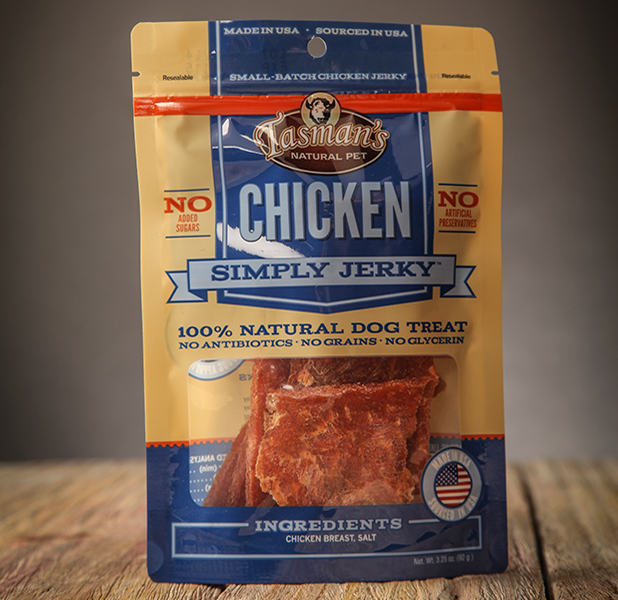 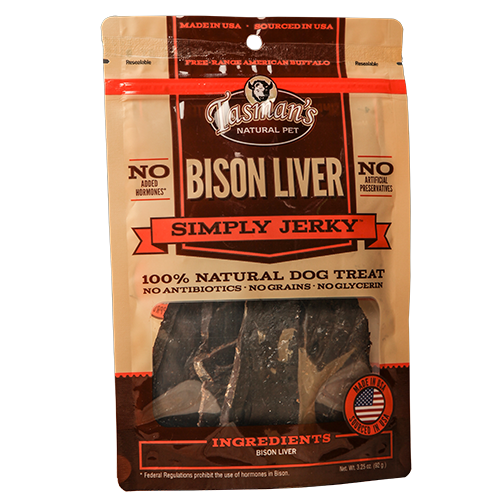 Ads in trade publications announced the new product to retailers, and, as the brand gained recognition, consumer-facing ads were placed in Cesar’s Way. 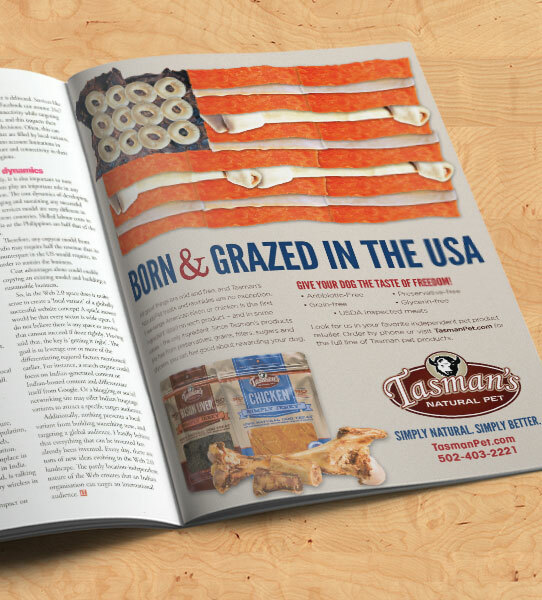 In tangent with new product launch efforts, Current360 created and produced point-of-sale displays and sales literature that informed and motivated pet lovers. 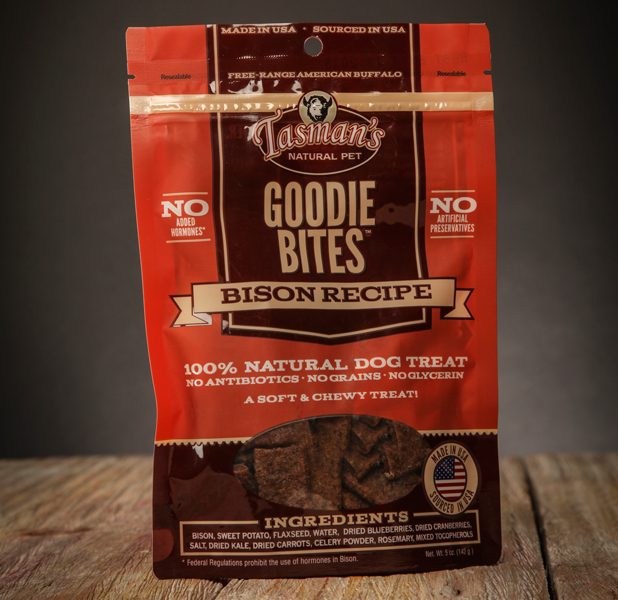 Current360 developed packaging design and copy for the TASMAN line of dog treats. 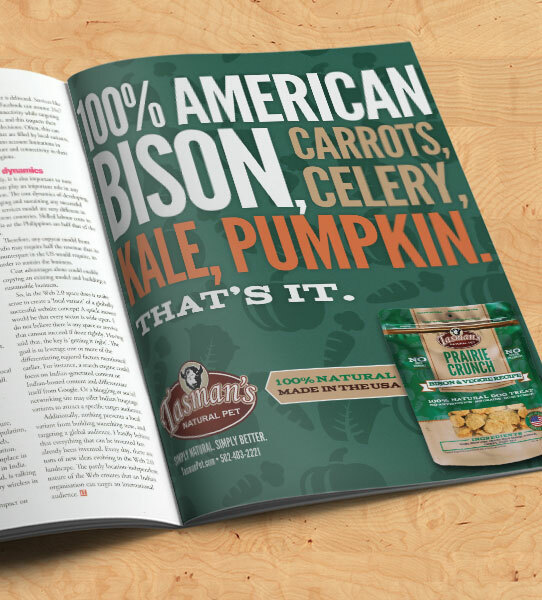 Design elements and language were selected to convey a natural, earth-friendly look, feel and tone. 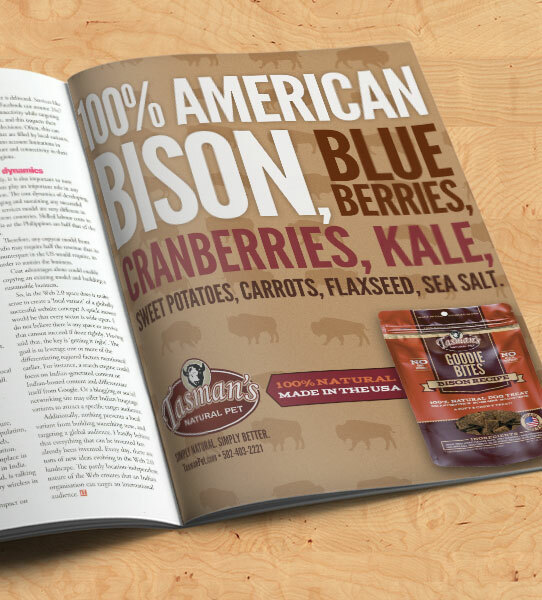  Current360 designed attention-grabbing, in-booth materials for the New Product Showcase, as well as accompanying print and program ads.